I contacted the seller via email (as they suggested in their advert) and asked lots of probing questions. The answers just made the car seem better and better! As you will read in the copy of our email exchangethe seller even suggested a fair and reasonable payment system because he was overseas at the time. Thankfully, I know enough to realise that the payment system he suggested doesn’t exist, so I spotted the chap for the fraudster he was… that and the fact that the asking price was well under half the market value. In all seriousness, I regularly see adverts like thisand knew what I was dealing with right from the start, but many people do not… and I wondered how dangerous this scam would be if run by someone with a little more ‘marketing’ expertise. I even bought a mobile phone sim card (for £1), recorded a bogus voicemail message (call 07906 784066 to hear this) and set-up a new email address. 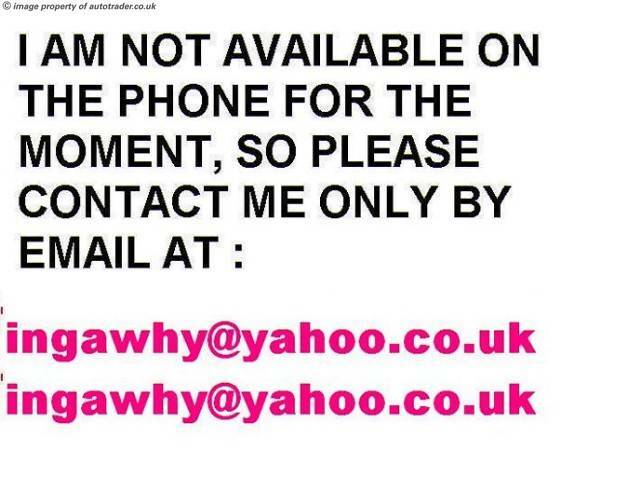 Within a matter of hours my voicemail was full, plus I had received 5 text enquiries and 4 emails! SO WHAT CAN YOU DO TO AVOID BEING CAUGHT OUT? 1) Never agree anything until you have actually spoken with the seller. Wishing you a ‘con’ voyage!